Ecobank Nigeria has received a US$170mn term loan facility from a syndicate of 10 banks. It will be used for refinancing the bank’s inaugural US$150mn syndicated loan facility signed in October 2014, which was raised for general lending and trade purposes. Commerzbank Luxemburg, First Gulf Bank, Mashreqbank and Standard Chartered acted as mandated lead arrangers (MLAs) and bookrunners, while the African Export-Import Bank (Afreximbank) acted as MLA. Standard Chartered was also the sole co-ordinator bank and documentation agent, and Mashreqbank acted as facility agent. 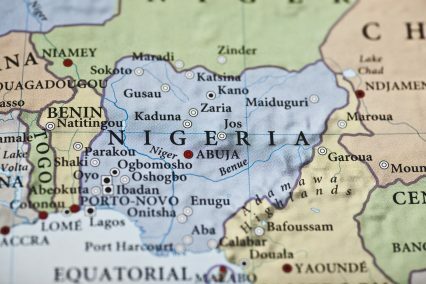 “Despite adverse market conditions due to the macroeconomic headwinds affecting Nigeria, the facility has seen an excellent response from both existing and new lenders to Ecobank,” the bank says in a statement, adding that the lenders’ confidence demonstrated and a growing appetite for top-tier African issuers in the international syndicated loan market. Ecobank Nigeria received another financing boost in October, with a US$125mn loan from a group of financial institutions, mainly European.